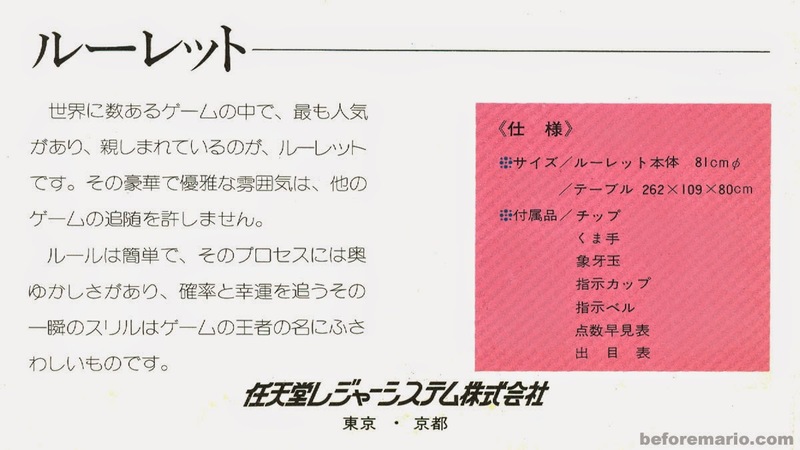 In the early 1970s, Nintendo set up a subsidiary called Nintendo Leisure System (任天堂レジャーシステム). 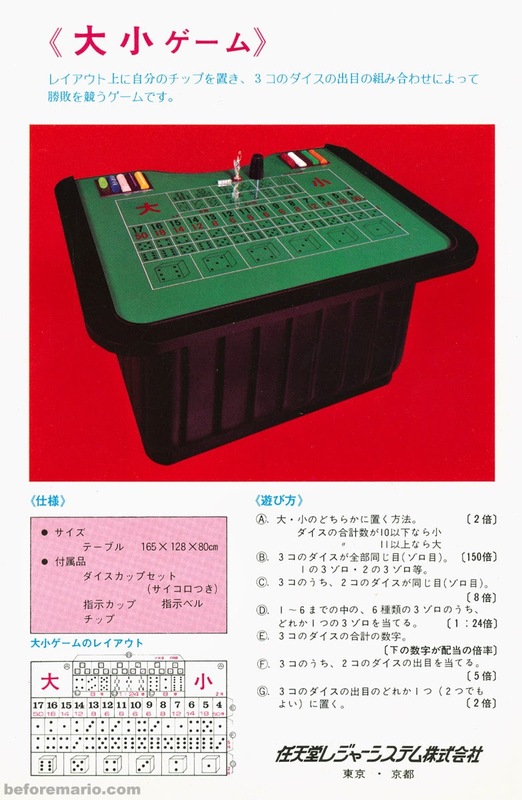 This part of Nintendo's business focussed on developing entertainment equipment, including a range of arcade games (like Computer Othello) and the Laser Clay shooting gallery, which was based on the light beam technology started with the Kôsenjû SP series. 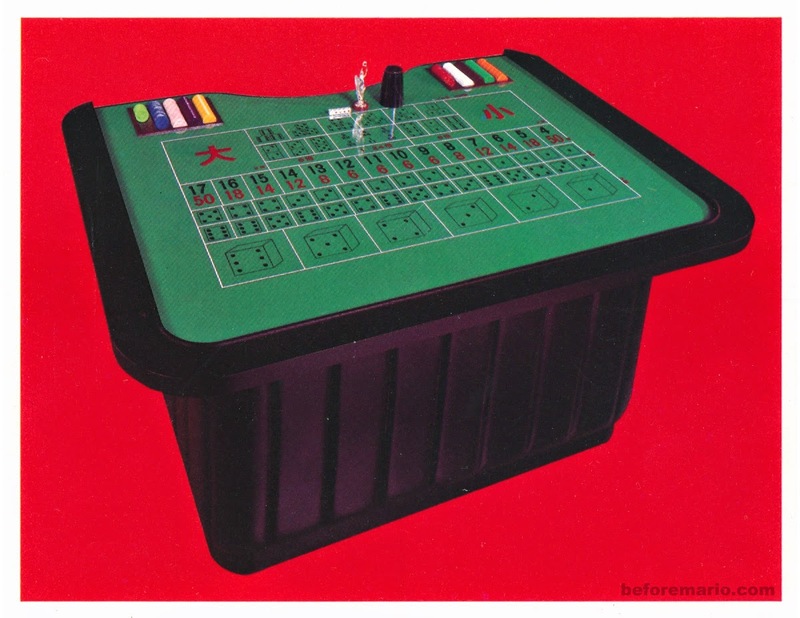 The pictures shown here are taken from four leaflets by Nintendo Leisure System, advertising luxurious gambling tables. 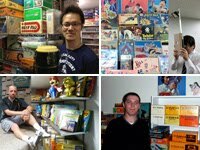 Although far removed from the innovative electronic games you would expect from Nintendo, they show that Nintendo was interested to cater to a broad range of entertainment interests, closely following trends. 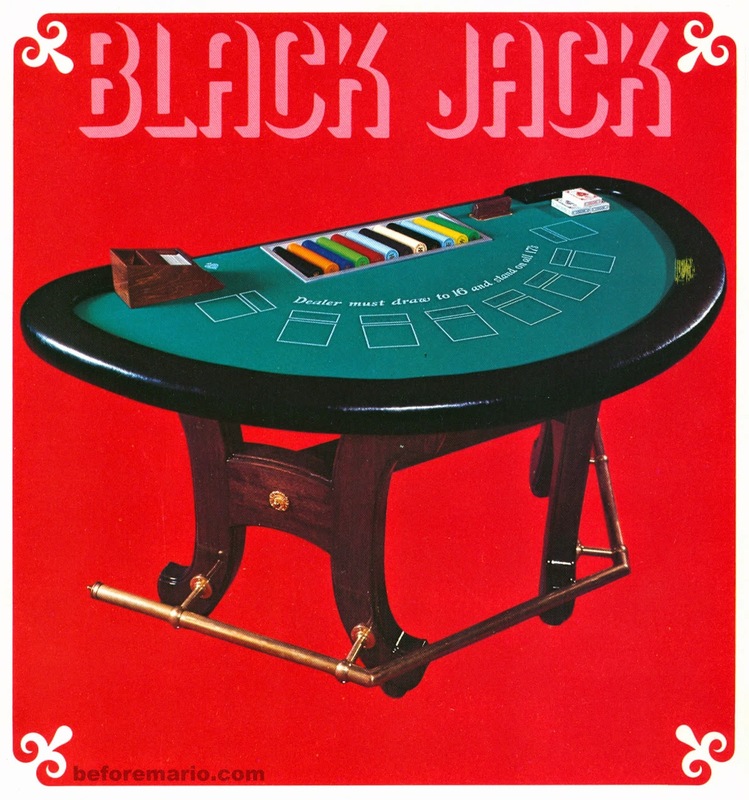 Casino's were becoming increasingly popular in Japan in the 1960s and 1970s, although gambling for money was (and is) illegal in Japan, with the exception of betting on horses. 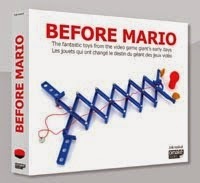 So, people played these games for fun and possibly for prize gifts. These tables must be among the biggest merchandise Nintendo ever sold. 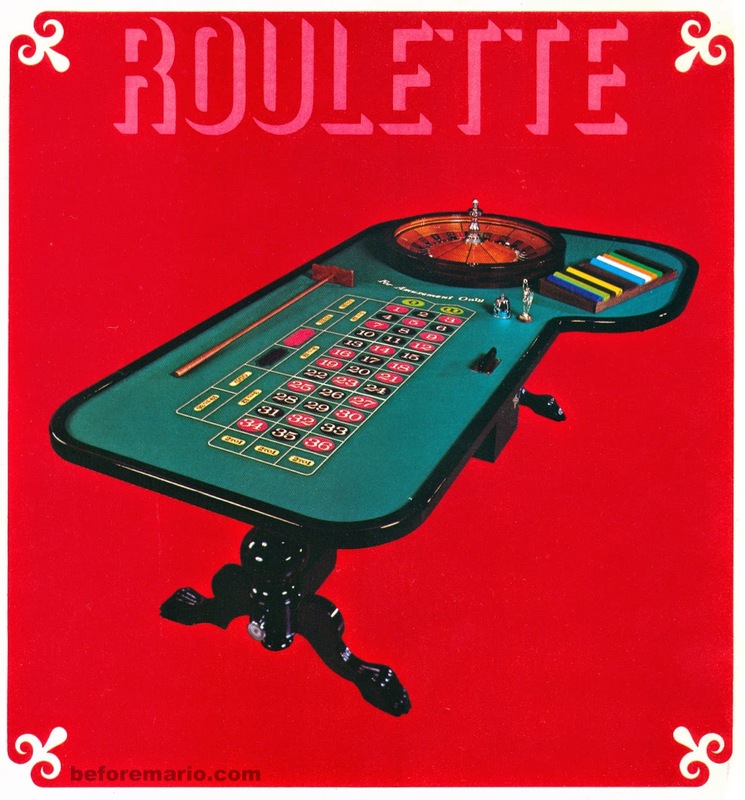 The roulette table for instance measures around 260 by 110 centimeters. All tables are made from high quality materials, like solid wood and brass. 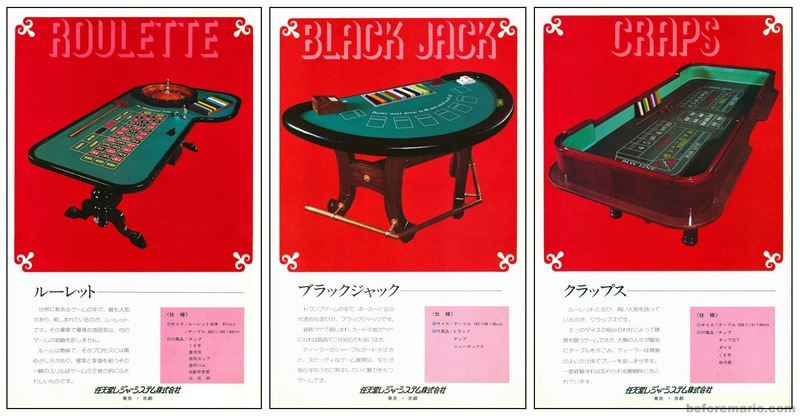 Tables for four different games were produced, which are all casino classics: Black Jack (ブラックジャック), Roulette (ルーレット), Craps (クラップス) and Hi-Lo (大小ゲーム). The latter game is very popular in Asian gambling hotspots like Macau, where it is called Sic Bo. 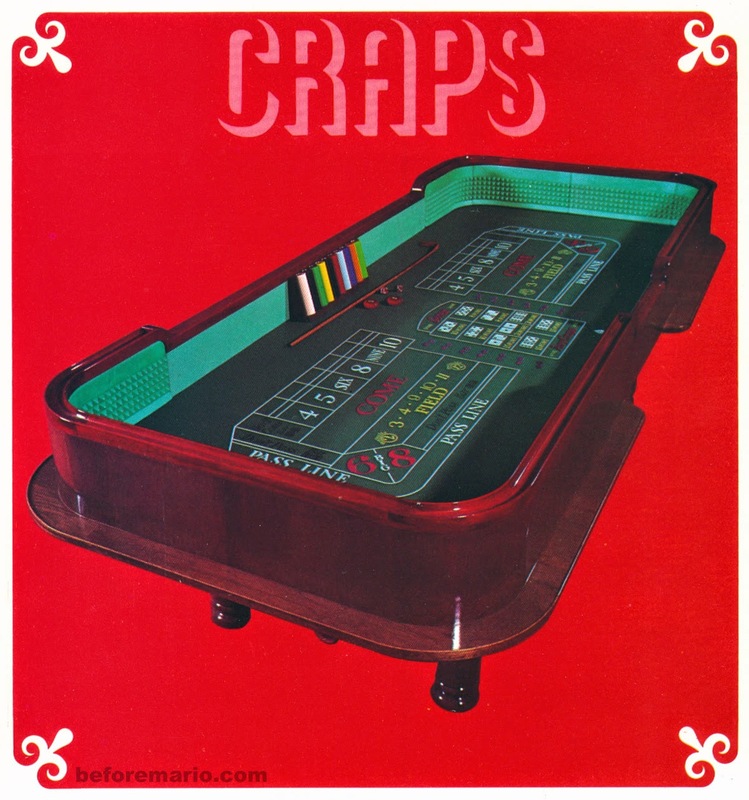 If I had a time machine, I would love to go back to 1970s, so I could later claim I played a game at a Nintendo Craps table! I wonder if there are any of these tables still in existence.